When was the last time you had a dream which left you at a crossroads of decision making – choosing between SHOULD and MUST? 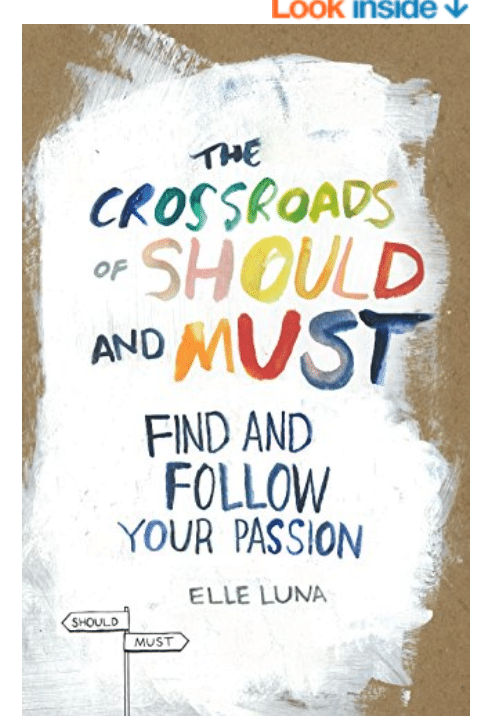 Author, artist and change maker ELLE LUNA describes it in her bestselling book, “The Crossroads of SHOULD and MUST” – and says it’s a clear indicator towards your calling or passion. Now let me back up and share a story of SHOULD and MUST from my own boomer life. From childhood, growing up in Zimbabwe, I had a passion for photography and reading, writing…words. I crafted my first “letter to the editor” with my father’s help when I was 11 years old. I got the thrill of my life to see my name in print – and later, after an English Honours degree…became a journalist for most of my career. 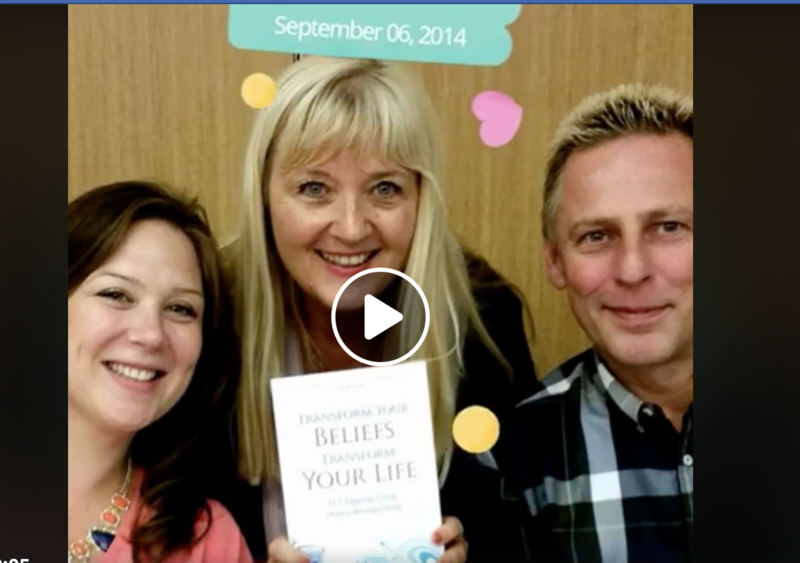 Me (centre) with Kate Mariallat and Karl Dawson with Hay House Book “Transform your Beliefs to transform your Life” where I contributed to the chapter on Goal Success using my Matrix Goals Reimprinting formula. 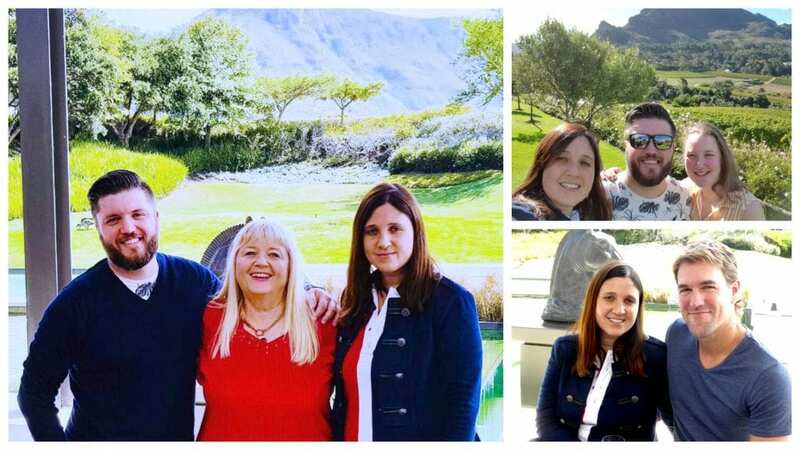 In the second half of my life I combined this passion with my soul purpose as a BREAK FREE spiritual intuitive life coach trained in The Journey, EFT Tapping, Matrix Reimprinting and the Law of Attraction. BUT CONTINUE TO WRITE BOOKS. Plus pursue my passion for both photography and painting. Looking back 45 years, how did I juggle SHOULD and MUST? MUST: Creativity (reading, writing, photography) self help and transformation and spirituality. Did I fall into the SHOULD trap along the way? SHOULD: As a wife and mother I gladly “sacrificed” my time and energy into my role as a householder. But I have the “creative satisfaction” of seeing the result in my two wonderful grown children – Guy and Lorian. As a conscious successful MANIFESTOR of miracles in your life…first get clear that you are not intending for something someone else would have wanted for you – for instance Luna says she tried 11 times to get into law school… but was rejected. Looking back it was because being an attorney was what her family did and wanted for her. Not her true calling in life. 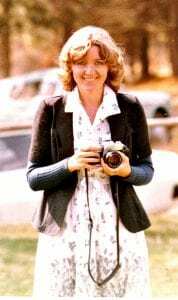 Ultimately her CALLING was a MUST she had to choose later in life – after great success in her working life…and it meant giving it all up for ART. Should is the expectations of others…what to think, say, do. In other words…MUST is what may draw you to coach with me through the Manifesting Mastery Glee School, how to use the power of deliberate creation and intention to create truly THE LIFE YOU LOVE. Tracy Lynn I love that you affirm this about what is important to you. Yes, you MUST let your inner loudness out to play! Could she be your Inner Child who was told to be “seen and not heard”? The world needs your laughter, songs and expressive silliness.